Was too busy with work and these are some of the flies that I actually managed to finish it up for the past 3 nights. 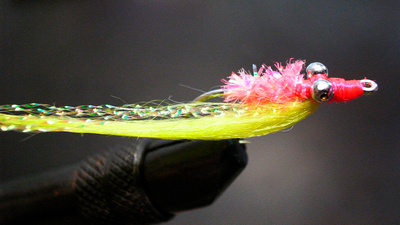 Heard from Henry working in Coho fly shop that black color flies are effective there. 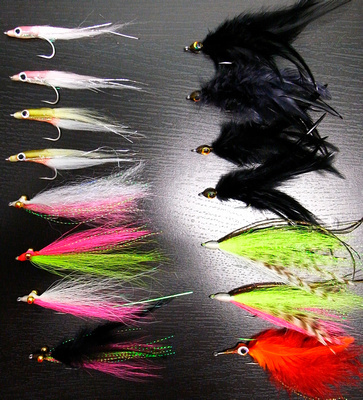 In the end I really did bought some black deceiver hackle feathers. Tried a few nghts of dry casting and decided to hit the water at Ground Zero one evening. 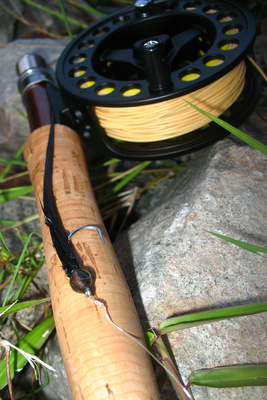 It was exceptionally windy and difficult to cast. No sights of peacock bass despite wearing polarised sunglass. Managed to induce a strike from a haruan using a size 6 charlie but did not managed to secure a solid hook up. Palm size peacocks chasing flies but no solid bite again. Finally managed to land a small haruan on my size 1 black deceiver but was very unfortunate not to manage to take a picture. The haruan jumped back into the edge of the water when Im taking out my camera. 1. 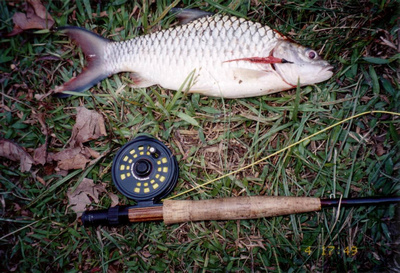 Saw some of my past catches and was keen to go back into fly fishing. 6. 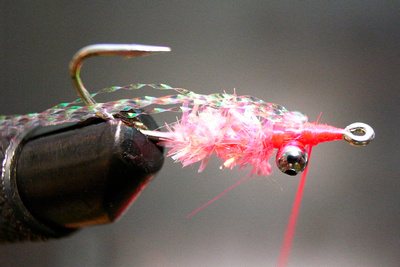 Sloppy results but think still able to catch some fishes with this Pink n Green charlie. 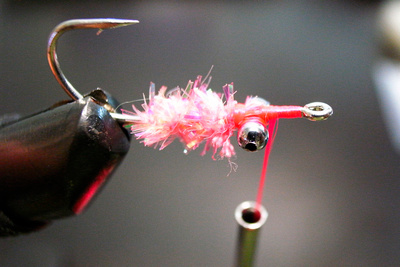 My first fly tying after so many years…Not the best but I love my stuff! 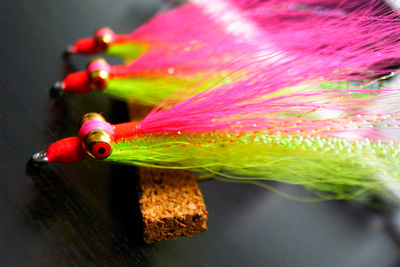 Adding on the flashers commonly found on Sabiki jigs. Cold weather = Cold prawns ? 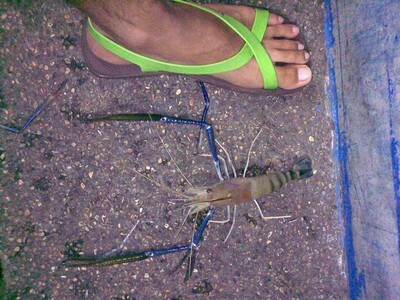 9 inch prawn from tail to claws.